Stone Design by Santos focuses on creating innovative designs for the kitchen and bathroom interiors by remodeling them according to client’s requirements. We provide stones and services for kitchen and bath at effective prices. Our professionals are always ready to provide immediate solutions to the homeowners to give a facelift to the kitchen and bathroom. We stay above in planning the layout and designs that fit in the space in the interior of client’s home. Moreover, we provide granite and quartz kitchen and bathroom countertops that increase the appearance of one’s home. We have a team of certified designers and professionals who can create 3D designs for the kitchen and bathrooms to provide an overview. This helps the consumers in changing any kind of accessories, space, lighting in kitchen or bathroom, fixtures, etc. Stone Design by Santos also provides granite, marble, onyx, quartz and other semi-precious stones countertops. They will give a greater look to the kitchen and bathroom of the homeowners. Even we can customize the countertops according to matching shades of your home interiors. This will extend a pleasant look to the kitchen and bath Fort Lauderdale. We provide high-end services to the homeowners so that they can get the modern kitchens and bathrooms. Why Choose Stone Design by Santos? 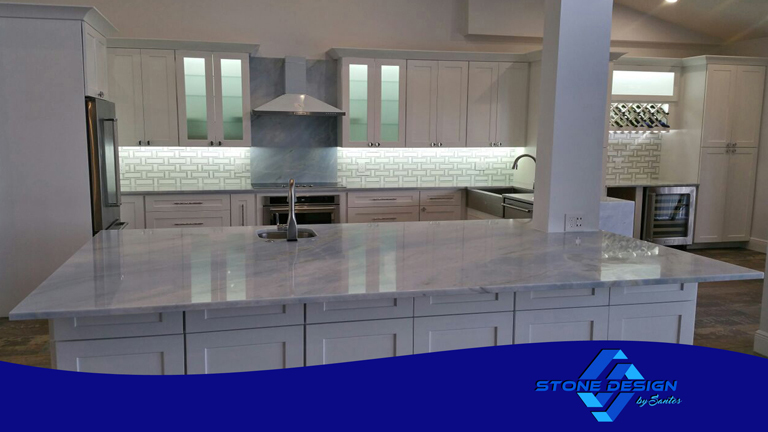 The homeowners can reach out to Stone Design by Santos for kitchen and bath Fort Lauderdale services. We provide specialized fabricated designs for the kitchens and bathrooms by using 100% naturally extracted granite or quartz stones. Our focus is customer satisfaction, so we provide all customer support necessary to extend every kind of need to the clients. Here are some of the important pointers to opt for our incredible services. Stone Design by Santos is extending services for kitchen and bath designs in and around the places of Florida. We are a one-stop-shop for all your bathroom and kitchen designing needs. You can read customer reviews provided by our esteemed clients for getting proper insight to our work. For more information and quotes, reach out to us through the contact form on the bottom of our site.